Gingrich vs. Perry. Whose Tax Plan is More Effective? On Tuesday, former Speaker Newt Gingrich was quick to compare his flat tax proposal to that of Texas Governor Rick Perry’s flat tax plan which was released earlier in the day. The biggest distinguishing aspect of Gingrich’s and Perry’s flat tax plan is the rates which the two men arrive at. While Perry set’s a high 20% flat rate for both corporate and personal income taxes, Newt Gingrich proposed two separate rates and each one is lower than Perry’s. In Gingrich’s plan, which predates Perry’s, the Speaker calls for a 12.5% corporate flat tax and and a 15% personal flat tax rate. Other distinguishing features of the two plans involve capital gains taxes, deductions for charitable giving and home ownership, and payroll taxes. While Perry’s plan is most definitely a good one, and touches on a few things that Newt’s does not seem to, such as abolishing the tax on Social Security benefits, Newt’s plan seems to benefit economic growth more than Rick Perry’s does. Much of the reason for that is simply based on the fact that Gingrich’s rate is much lower than Perry’s. In addition to that, Newt Gingrich has offered significant entitlement reforms that go far beyond anything that Perry has toyed with. 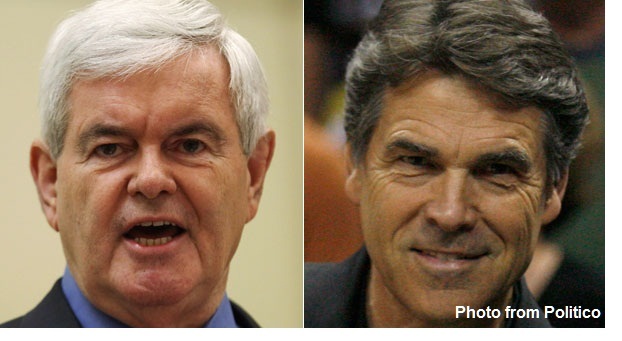 Together, those two factors alone make Newt Gingrich’s plan stronger than Rick Perry’s. In a previous post, White House 2012 gave Perry’s plan which he calls Cut, Cap and Balance, two thumbs up. Perry’s plan still gets both thumbs up. However; the plan which Newt Gingrich proposed long before Rick Perry put his proposal out, gets three, not two thumbs up. Meanwhile both men have done better than all their opponents on this issue. For his part, Mitt Romney offered a 59 point plan that included some tinkering with the tax code, but failed to realize that he is tinkering with a tax code that is defective and needs to junked. And while his plan is a solid and accetable program of pro-growth policies, it fails to acknowledge the simple reality that we will be much better off scrapping the existing tax code instead of tinkering with it. As for Herman Cain, I am no fan of his hybridized version of a flat tax and a little disappointed in Cain’s evolution on this issue. Cain was initially calling for a Fair Tax, which is more accurately described as a national sales tax. The one day he suddenly turned it into 9-9-9, a plan that offers a 9% corporate tax rate, a 9% personal income tax rate, and a 9% national sales tax. That is a plan I cannot support simply because I refuse to give the federal government the authority to play with a new tax…..the sales tax. Of course Gingrich and Perry and even Romney may still change their own plans as this campaign plays out, but so far, Gingrich and Perry are at least on the right path to the right reforms and currently, I find Gingrich’s path to be the most prosperous one for the nation. The big questions now is, which one can best sell their plan and which one can use it in a way that will get their campaigns moving in the right direction and win them the votes they need to become the Republican presidential nominee? Rate 15% 20% Gingrich has advocated for several years an optional flat tax rate of 15%, which when coupled with Gingrich’s bold entitlement and regulatory reforms, will usher in another era of booming economic growth and new, higher-paying jobs. The Perry rate of 20% is higher than the 17% that Steve Forbes proposed in his 1996 and 2000 presidential campaign. Who Gets to Make Deductions for Charitable Giving and Home Ownership?? Everyone Families making less than $500,000/year By creating two separate classes of taxpayers, the Perry plan buys into the same class warfare that characterizes the Obama and Romney economic plans. The fact that there are still two brackets – even under a supposed “flat tax” plan – calls into question whether this is really a flat tax at all. State and Local Tax Deductions Not deductible in optional flat tax plan Deductible in optional flat tax plan The Gingrich plan has a lower rate so less need for state and local deductions. The deduction is a federal subsidy for states to adopt higher state and local taxes. Removing the subsidy would lead states to reduce state and local taxes, or adopt their own flat tax reforms. 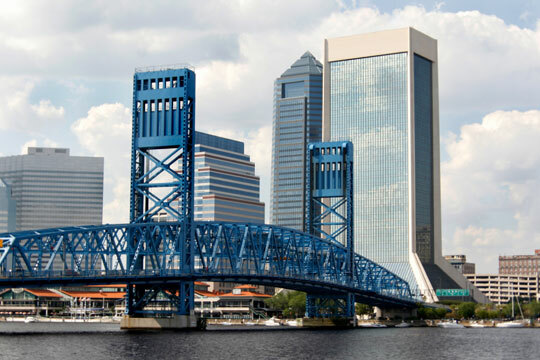 The Perry plan erodes states’ competitive advantages by making state and local taxes deductible in his optional flat tax plan. Who Benefits from Elimination of Capital Gains Tax? Everyone Depends whether capital gains is long term or short term. Perry’s plan eliminates cap gains only for long term. The Gingrich plan maximizes the capital investment and job creation that will accompany the elimination of this tax. The Perry plan only goes halfway, and by levying up to 35% tax on short-term capital gains, it will discourage investment, venture capital, and new jobs creation. Corporate Income Tax 12.5% 20% The Gingrich plan will create a boom of new American entrepreneurship by dramatically cutting the corporate tax rate to one of the lowest in the developed world. The Perry plan relies upon a short term “tax holiday,” then only drops the corporate tax rate to 20% — only average in the developed world, and still over 20% higher than our closest economic competitor Canada, which has a rate of only 16.5%. Gingrich rate makes U.S. more competitive than Canada. Payroll Taxes Eventually replace payroll tax with personal accounts, financing better results No change in existing payroll tax Gingrich supports personal savings investment and insurance accounts that would eventually be expanded to finance all of the benefits now financed by the payroll tax, allowing that tax ultimately to be phased out altogether. Earned Income Tax Credit (EITC) and Child Tax Credit Both the EITC and the Child Tax Credit are preserved in Gingrich’s optional flat tax system. No information provided. Preserving the EITC and Child Tax Credit are critical to ensure that the optional flat tax system does not unfairly target low-income Americans. Gingrich passed the first child tax credit as Speaker in 1997, and will preserve this credit and the EITC under his optional flat tax system. 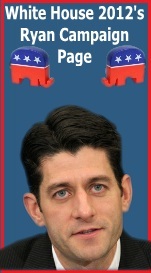 • Four Straight Balanced Budgets for the First Time Since the 1920s. • Unemployment rate of 4.2%. • Federal Spending Held to the Slowest Growth Rate Since the Early 1950s (avg. of 2.9% a year). 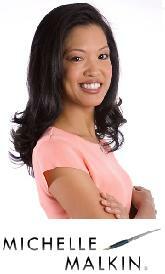 • Venture capital investments grew 500% in three years and manufacturing sector grew to 17.43 million jobs. • Bipartisan Welfare Reform that Lifted Millions from Poverty. All tax filers would be given the option to pay their income taxes subject to current income tax provisions or to pay under a lower single rate of taxation with limited deductions. To generate another lasting economic boom, we need fundamental tax reform, similar to that proposed by Steve Forbes. We should adopt the optional 15 percent flat tax with generous personal exemptions. This concept of an optional flat tax was developed by Steve Forbes when his flat tax campaign was undermined by criticisms that it would take away popular tax breaks. Steve Forbes and Stephen Moore have both proposed giving American taxpayers an opportunity to choose simplicity versus complexity and a single rate over a lot of deductions. They call it the free choice flat tax, and it’s an idea whose time has come. An optional flat tax would save taxpayers more than $100 billion per year and reduce compliance costs by over 90 percent. This is a stimulus package that would have an immediate effect on our American economy. I believe there is a real opportunity for a similar grass roots revolution imposing the flat tax on Washington. As people learn how much money and time they can save through a flat tax they are going to demand a simple alternative to the complexity and uncertainty of the Internal Revenue Service. As people spend hours in frustrating and seemingly endless paperwork and record keeping and preparing they are going to demand the freedom for their own time offered by a flat tax….As people watch the endless maneuvering of the lobbyists and the special interests they are going to demand the fairness of a flat tax. 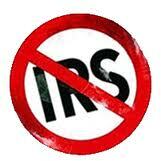 There are things I would like to do like a flat tax with virtual elimination of the IRS. So much for simple. After heavy criticism of his 9-9-9 plan, Herman Cain is retooling it to look a whole lot more like the current income tax code. Cain plans on adding empowerment zones for poor neighborhoods, which is no surprise, but also adding tax brackets and exemptions. Cain’s caving will not satisfy Republicans like Michele Bachmann who said everyone should pay taxes and then attacked Cain’s plan, or Democrats who have portrayed Cain as the devil for trying to come up with a fairer system. What it does do is knock the legs out from under Cain’s campaign by removing the one base of support he could count on: the Fairtax, limited government crowd. Another issue for Cain’s new progressive approach to his formerly flat 9-9-9 plan is that he proves himself wrong in his assertion that it would be a solid, unchangeable plan that future Presidents couldn’t tinker with. One of the key elements to a flat tax is that it gets government out of the business of picking winners and losers, giving advantages to people in their districts, or buying votes through sin taxes and tax breaks for good behavior. With Cain’s empowerment zone approach, there is a risk of taxes being a political selling point to the extent that they are now. The complexity of empowerment zones, brackets and exemptions for good behavior will bog this system down in compliance issues. The sales tax will basically replace the payroll tax on a business’s to do list, but with added complexities if that is possible. 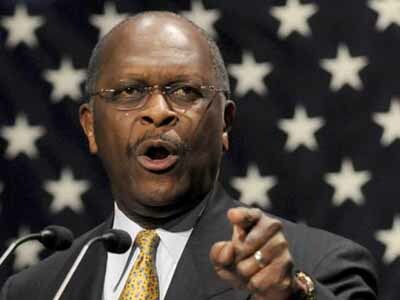 Anyone with a “get rid of the IRS” bumper sticker may need to rethink Herman Cain. That seems to be the message coming from GOP grassroots following another commanding debate performance in Nevada. Newt Gingrich is announcing on his Facebook page that contributions over the last four days have exceeded what he took in for the entire month of July. With some of this campaign cash, Newt is making moves in New Hampshire and hopes to hit other early states as well. To date, Newt Gingrich’s campaign was slowed by an apathetic start, low fundraising, and staff defections. The general mood towards Newt Gingrich has been that everyone will admit he is the smartest man in the room, but nobody thinks he can get elected. Un-electability has cost him financial support in a catch 22 situation where he has found it hard to raise the sort of excitement that gets people to fork over even small donations. In many cases people like Newt in theory, but can think of better things to spend their cash on. Newt also has the misfortune of having a public record far longer than any other candidate out there. From the Clinton impeachment to his three wives, Newt has plenty of baggage. However, none of this baggage is fresh. This could prove to be an advantage over candidates who have made much more recent slip ups that are fresh in people’s minds. Rick Perry may have made a critical error in attacking Mitt Romney for “hiring illegal aliens”. This was a flimsy charge when it was made in 2008 and has not become any more serious since then. Such a mean spirited attack on such a baseless charge is not what Republicans want to see candidates doing to each other. Perry may be believing some of the religious conservative hype coming from his side of the ring: that getting rid of Romney is as high a priority as getting rid of Obama. Most conservatives would rather see Obama go, even if it means electing someone not as socially conservative. Romney is not going to go down over this illegal immigration charge, and for a good reason. Romney didn’t hire illegal aliens. In fact, as an accountant myself, I would wager that under the criteria given by Rick Perry I could discover illegal aliens that Rick Perry has “hired”. Romney hired a legal US company to perform services for him. That company broke the law and hired illegal aliens without Romney’s knowledge or direction. When Romney found out, he gave them one chance to fix it and then fired them. So, has Rick Perry eaten at any restaurants along the border? Has he ever used the services of any company that hired illegal aliens? Give me unfettered access to his check books and credit records and I can easily find you the illegal aliens Perry has “hired” by this criteria. Besides, did Nannygate in the Clinton administration change one voter’s mind? Stick to the Issues, Rick Perry. For two straight debates, 9-9-9 has played a significant role in tax discussion. 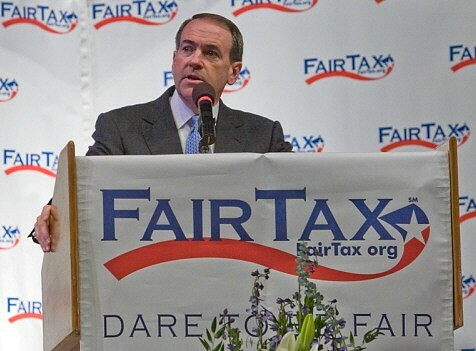 Cain is tapping the anti-IRS Fairtax group in the country with step one on the way to a national sales tax. But the Fairtax has always overpromised on things it could not deliver. 9-9-9 actually makes the Fairtax look pretty good. Cain has lucked out so far since no candidate attacking his plan seems to understand his plan. But eventually word will get out on some of the real flaws in it, such as the basis for the 9% corporate tax. The 9% corporate tax is on gross minus purchases. For service intensive industries such as consulting firms, temp agencies, and other such businesses, that 9% tax could easily turn into an effective 90% tax or even higher. How? Picture a company that makes $1.1 million gross per year. They are a consulting firm with $100,000 in expenses and $900,000 in payroll costs resulting in $100,000 in profit. Under Cain’s plan, it they leave the $100,000 profit in the business, they will be taxed on 9% of $1 million, or $90,000. Of course, $90,000 tax on $100,000 net profit is a 90% corporate tax. 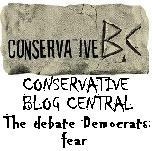 Now Cain has made another misstep on abortion. 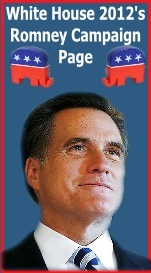 At the same time, he practically handed out endorsements to his two biggest competitors, Mitt Romney and Newt Gingrich. Cain continues to establish his amateur status and lack of political savvy. Some voters will find that endearing, especially in our polished political world. Others will start questioning just how much they can trust Cain to hold the line on important principles and give fast, correct answers in one of the most demanding jobs on the planet.